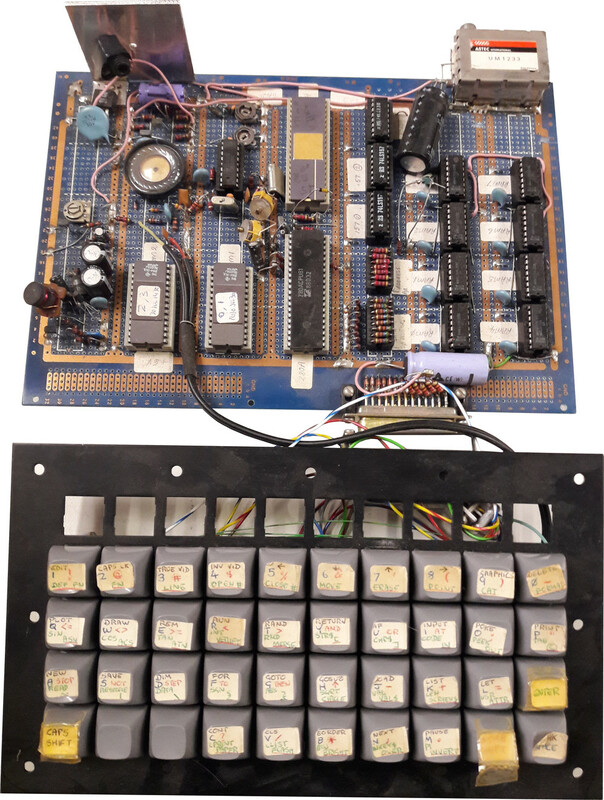 Prototype Sinclair ZX Spectrum donated to the Computing History Museum #zxspectrum #retrocomputing #vintagecomputing @computermuseum « Adafruit Industries – Makers, hackers, artists, designers and engineers! This is the absolute original build of the Sinclair Spectrum, probably dating from late 1981 to early 1982. This has been in the possession of Nine Tiles, a subcontract company who had been responsible for the Basic ROM in the ZX80 and ZX81, and finally the Spectrum. Again for the ZX Spectrum, Nine Tiles was called on to provide the New BASIC, but this time there was 8K to play with, Steve Vickers who had joined Nine Tiles in January 1980, added the floating-point arithmetic, including trigonometric and other functions. 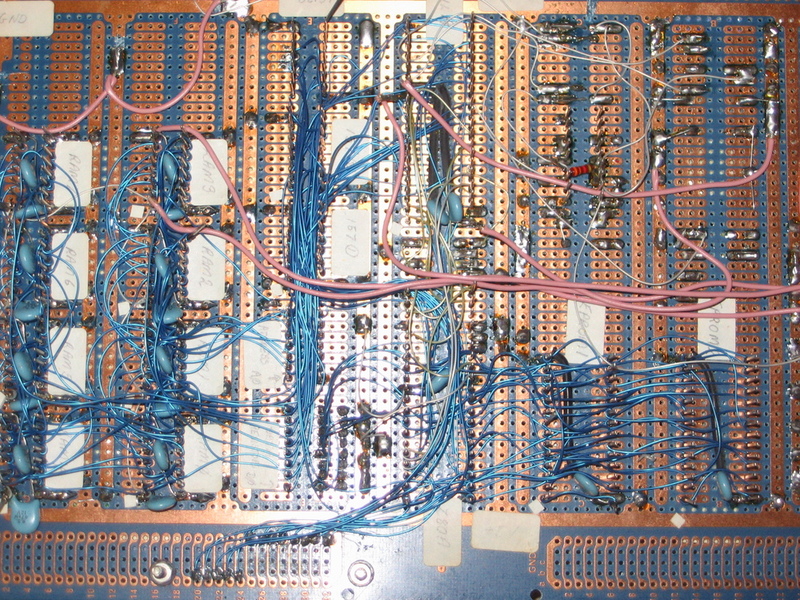 What started out as an expansion of the ZX81 BASIC soon turned into a large 16K program. Sinclair wanted as few changes to the ZX81 code as possible but Nine Tiles felt the software needed a major upgrade from a machine with just 1K to one that had 16K. The new basic took about a year, and while almost finished, it proved to be very slow, and to make matters worse, financial disagreements came to a head between the two companies in February 1982. The original plan was for the machine to ship, and an upgraded ROM to be made available later, a plan rendered impossible by the sheer number of machines sold. To counter this, peripherals had to include a shadow ROM to work alongside the host machine. The result of all this unsettled period was that Sinclair launched the Spectrum with an unfinished ROM, Nine Tiles continued to work on it until 3 months after launch, but by then too many machines had shipped, so the new code and this prototype were no longer needed. The prototype machine itself has a full travel keyboard with the commands hand written on the top. All the chips are labelled, and the underside of the board is all hand wrap wiring. The layout has familiar components, but the layout is very different from the final configuration of the Spectrum. This one of a kind machine has come to the museum with the enormous generosity of Kate and John Grant along with other machines from Nine Tiles. See the video below and the museum article here. Wow, spectacular! What do you think? Are you a Spectrum fan? Let us know in the comments below!